It has been several years since I had the pleasure of reviewing an Eagle Editions book and this is the second of this particular series I have read; the last one being #5 back in 2008. These books are pretty much photo books of various Luftwaffe aircraft, many from previously unpublished sources. As with other books of this type, several of the aircraft shown are either photos of wrecked planes or those that were photographed right after the war in various dumps or otherwise abandon. However, that does not make up the total as there are plenty of wartime images in there as well. Each page generally has two large photographs. Each is captioned with whatever information is known about the image, as well as a commentary on camouflage or interesting markings or equipment. One of the more interesting to me was a Ju-52 with what looks like a DB 601 or 605 on the nose mount. At the end of the book are four pages of superb profile work that highlight eight of the aircraft found on the previous pages. A bonus are two period color photos on the back cover. 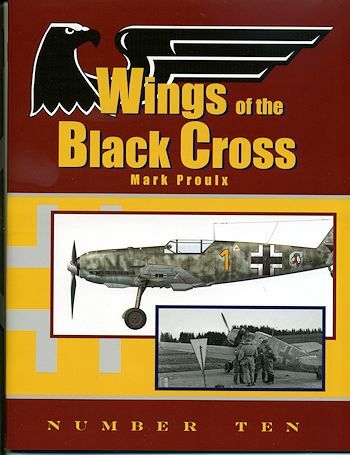 If you are a student of the Luftwaffe or an enthusiast, then this book is one that you really much add to your library. As a bonus, it is reasonably priced as books go nowadays. One that I know you will enjoy reading.